The 60th Shufu Eastern Open Championships were held in Baltimore on Saturday, September 1, with 250 junior, senior, masters, and kata competitors vying for individual and team honors. Also present were two of Shufu’s national champions. An unexpected honor was also earned, a special batsugun promotion. The muggy day did not dampen the enthusiasm of the wide range of competitors, from the kata team with a 7-year old, through the nearly 150 junior boys and girls ranging in age from 5 through 16, and more than 100 men and women in the senior, kata, and masters divisions. Teams from as far away as New Jersey and southern Virginia traveled to Baltimore for this annual event, as did myriad officials, referees, coaches, parents, families, fans, and, especially, the volunteers, without whom such an event would have been impossible. Junior awards were presented by two of our local Senior National Champions – Adam Moyerman from Liberty Bell and Christina Salmond from Baltimore. 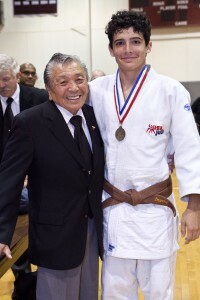 Senior awards were presented by Sensei James Takemori, Kyudan (Ninth Degree Black Belt). 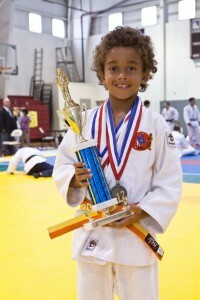 The Outstanding Junior Competitor was Rico Warrick, of the College Park (Maryland) Judo Club, who won two weight divisions in the 7-8 year old category. 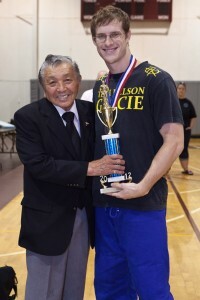 The junior team trophy was also won by College park, coached by Sensei Kurt Tamai. Nicholas Tissue, representing Team Maryland BJJ was the Outstanding Senior Competitor as he won first place in the men’s 178 lb. Novice division, and placed second in the 198 lb. Novice division. Sport Judo (Virginia), led by Sensei Maurice Allan, took home the trophy for the senior team championship. 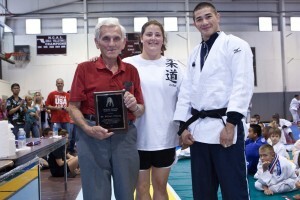 Mr. William Chaney, of Budokan Judo Club in Dunkirk, MD, was honored with the Thomas Dalton Service Award. This is the annual award to acknowledge outstanding services as a competitor, clinician for competitors, and instructor and officer of Shufu Judo Yudanshakai. Click here for more about Sensei Chaney and the Dalton Award. 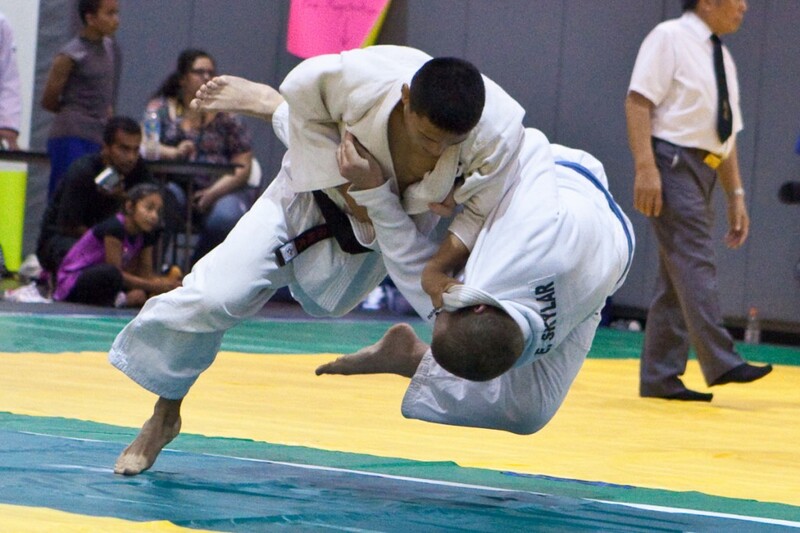 Tournament director Kevin Tamai, of the Hui-O Judo Club in Beltsville, Maryland, was very pleased with the attendance, enthusiasm, and fighting skills demonstrated by the day’s competitors, and with the tremendous efforts of so many volunteers.